Who knew that there was a Methven Railway Song? What does the demolition of Jerviston Viaduct on the former Wishaw and Coltness have to do with the Gleneagles Hotel? This excellent book is the result John Young's meticulous research over 50 years. 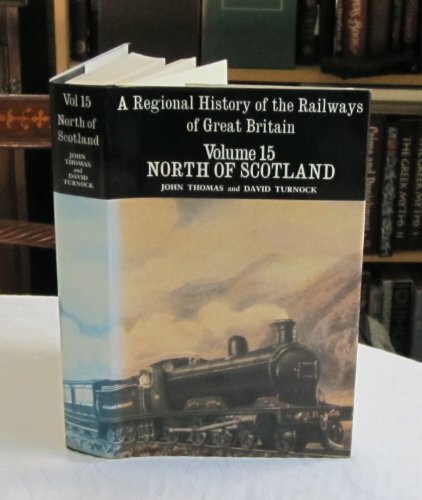 The book takes the familiar form of other books published by Lightmoor Press in conjunction with the Caledonian Railway Association. It is highly illustrated with 290 photographs and 222 illustrations such as maps, signalling plans, timetables and memorabilia. That's 512 images overall excluding the frontispiece photo! Particularly unusual are the photographs of the Gleneagles Hotel branch - very few photographs of this branch exist. At present (April 2015), the book is the current holder of the Ian Allan 'Best Railway Book of the Year' awarded in November 2014. Sir Walter Scott once described Perthshire as "the most varied and most beautiful" county in Scotland. Within Perthshire, Strathearn fully merits this accolate with Upper Strathearn renowned as a tourist destination, and the lower reaches being a rich agricultural area. 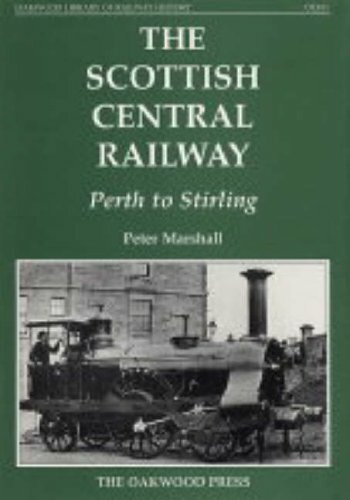 For over a century, the branch lines of Strathearn were an integreal part of this district. This comprehensive history of those lines is the culmination of research over fifty years, drawing on many original documents and contemporary accounts. 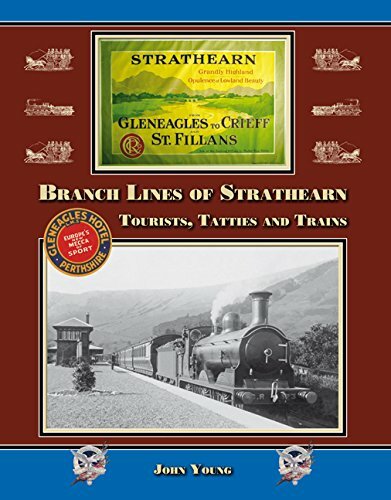 Lavishly illustrated with nearly 300 photographs, many never previously publisher, and over 200 other illustrations it traces the development of these branch lines from the opening of the Crieff Junction Railway in 1856 to the closure of the last section of line in 1967. This book also details the part these railways played in the development of the distrcit and the communities they served, including a chapter on Gleneagles Hotel, all of which will be of interest to the general reader as well as the railway enthusiast. 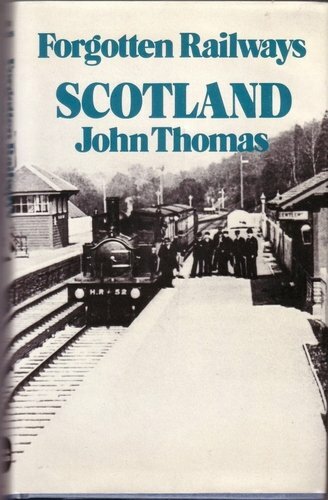 This is a splendid book, especially for anyone with an interest in local history living between Perth and Strathfillan. Although it is primarily a description of the construction and management of branch railway lines that no longer exist, destroyed by the infamous Beeching axe, its abundant photographs and infilling with fascinating bits of information makes it compelling reading. Although the book’s gestation has been nigh on half a century, its publication this year is because 2014 is 50 years since the last passenger train left Crieff and exactly a century since work started on the Gleneagles Hotel. Indeed this great building and its railway station are so important that a whole chapter is devoted to the construction of the hotel (and the train station) which, as most readers will know, started life as one of the greatest British Railway Hotels.